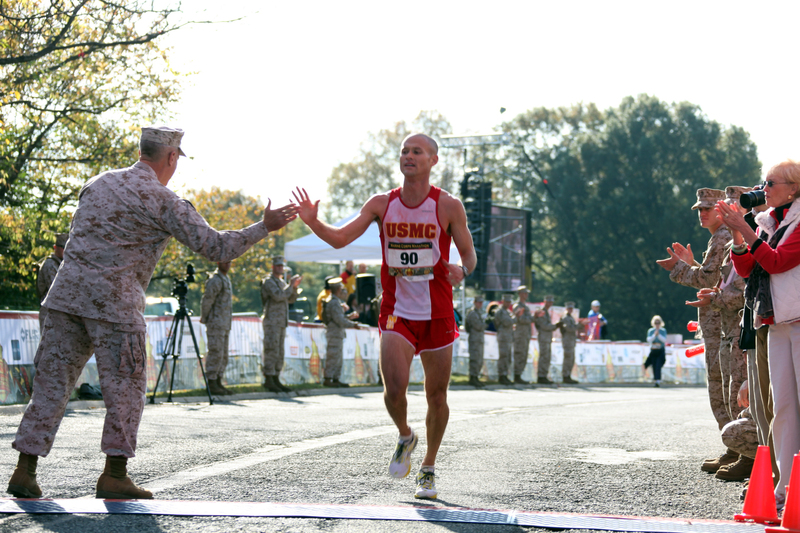 1st Lt. Sean Barrett crosses the finish line at the Marine Corps Marathon and claps hands with Gen. James F. Amos. Photo by Cpl. Brian Lett.